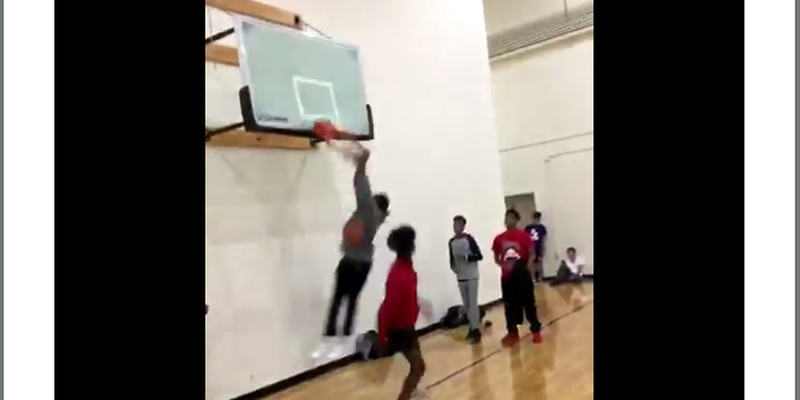 COLUMBIA, SC (WIS) - Some kids just have the skills - like this young man who went to the hole with authority inside a Ridge View High School gym on Tuesday. Blazers head football coach Perry Parks posted the video on Twitter on Tuesday. "So this just happened in [the] gym," Parks tweeted with a set of eyeball emojis. The students witnessing this Shaq-like takedown of the backboard stood there with absolutely no words. What can you do when your partner gets embarrassed like that? The reaction to this utterly vicious dunk was swift. Parks also mentioned that one of the young men was involved in another hard-hitting video at a football practice earlier this year. We've reached out to coach Parks for more details on this eventual Sportscenter Top 10 play.